Stride 1″deep, Sports 1/2″ deep, Stride 1″ deep Long & Wide Runners, Stride Low Pro 1/2″ deep and Stride Low Pro 1/2″ deep Long & Wide Runners. View these video demos to see our simple setup and easy maintenance of the SaniStride® quality boot/shoe sanitizing system. Our specialized antimicrobial shoe mats are made of the highest quality rubber and material designed for your heavy-use areas. Made to bathe boots and shoes to prevent the spread of germs and bacteria, they provide a safe, non-chlorine bleach option for your greenhouse, labs, or facilities. 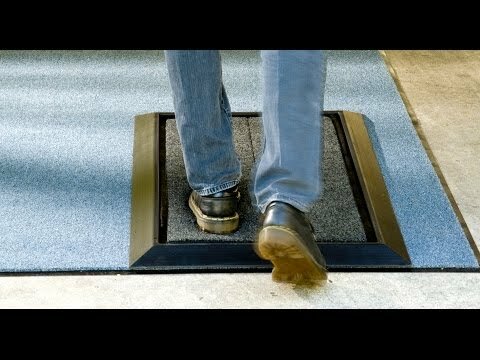 The SaniStride® STRIDE mat allows you to take 2 steps while crossing the mat… “Two Steps Closer to Reducing the Spread of Germs®” – The SaniStride STRIDE Mat – for industrial/commercial applications and heavy foot-traffic. 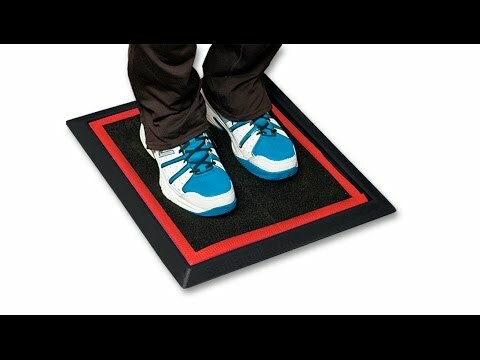 The SaniStride® SPORTS Mat – for smaller space application and lower foot-traffic… step onto the Sports Mat and use a gentle rocking or stamping foot motion to deliver sanitizer deep into the treads of shoes. SaniStride® STRIDE-LONG RUNNER MAT… a modular system with a wet surface width of 18 inches that can be any length in 34″ increments of wet surface length. Available in 1″ deep with 2.5″ surround ramps and Low Profile 1/2″ deep with 4″ surround ramps. 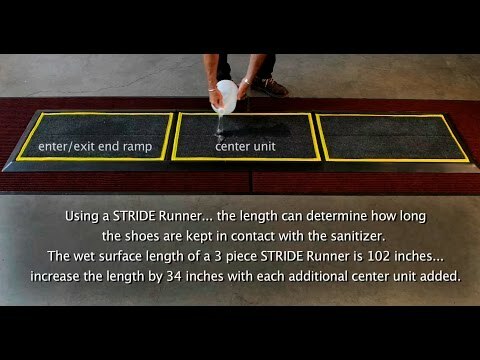 SaniStride® STRIDE-WIDE RUNNER MAT… a modular system with a wet surface width of 34″ that can be constructed to any length in 18″ increments of wet surface length… great for pushing carts over to sanitize wheels and shoes! Available in 1″ deep with 2.5″ surround ramps and Low Profile 1/2″ deep with 4″ surround ramps.